The Revivalist from Serious Business on Vimeo. It's a small world, and I'm in NY at the moment staying with the wonderful people who are starting a brand new online home for jazz, launching on Okayplayer in 5 days called "The Revivalist". 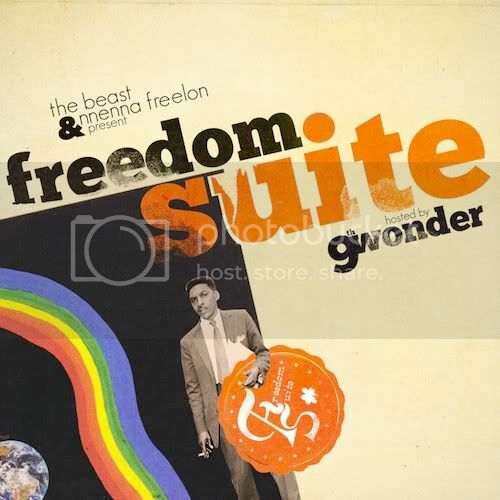 I'll be interviewing them about it later on this week but in the meantime, you can check out the trailer above and the first track from their project the Freedom Suite, also set for release on the 26th October, by Nnenna Freelon featuring The Beast, Brandford Marsalis, Phonte, and Questlove, hosted by 9th Wonder.